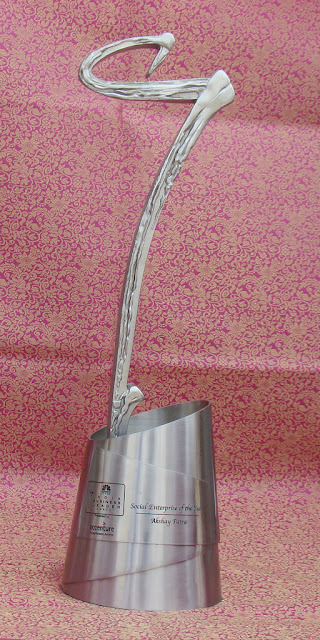 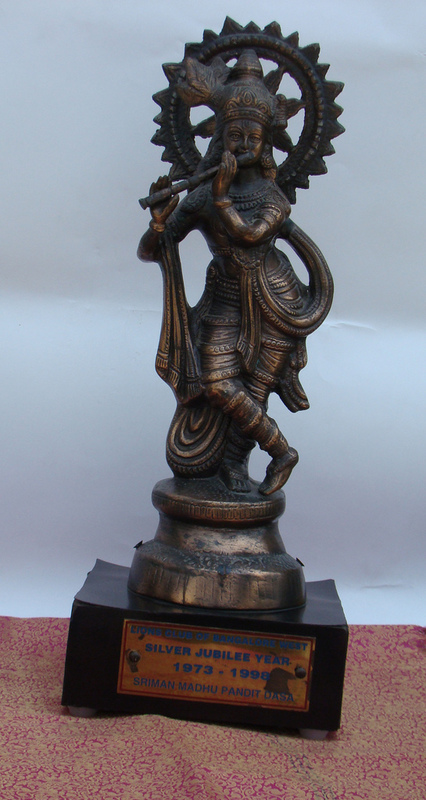 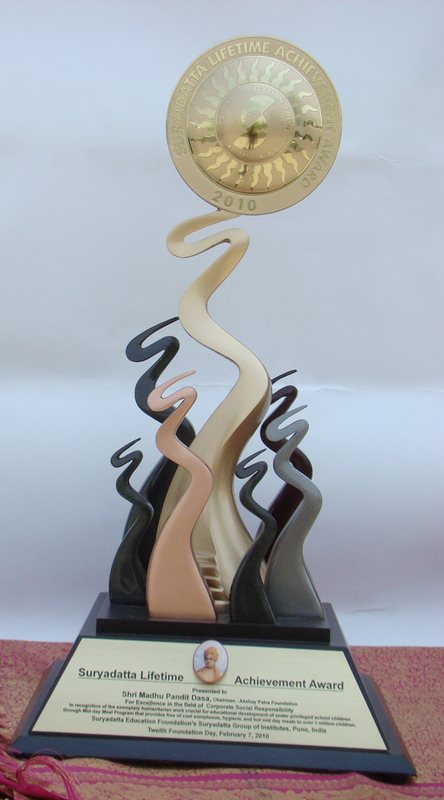 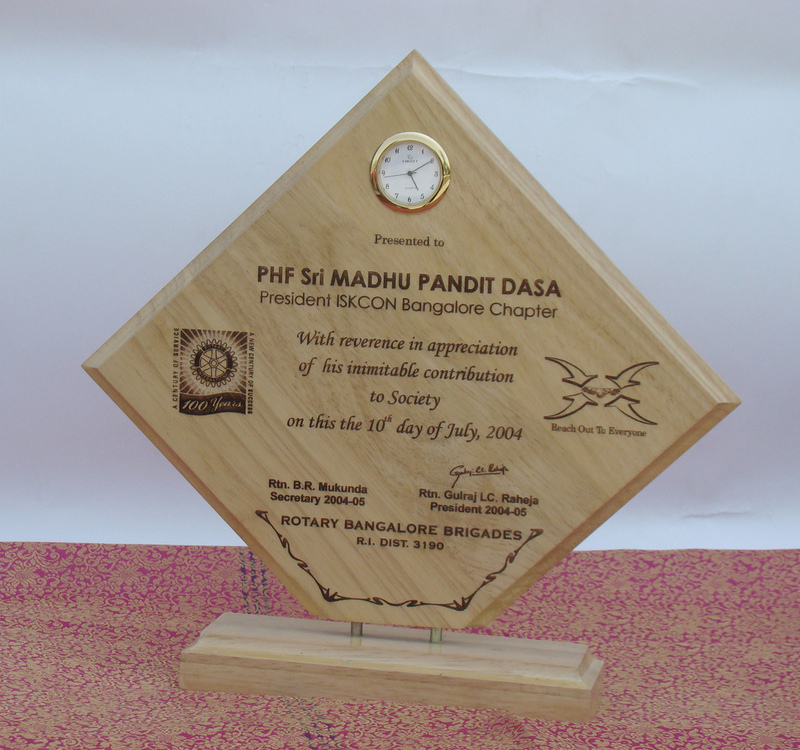 Suryadatta Lifetime achievement award 2010 received by Madhu Pandit, Chairman of Akshaya Patra, Bangalore. 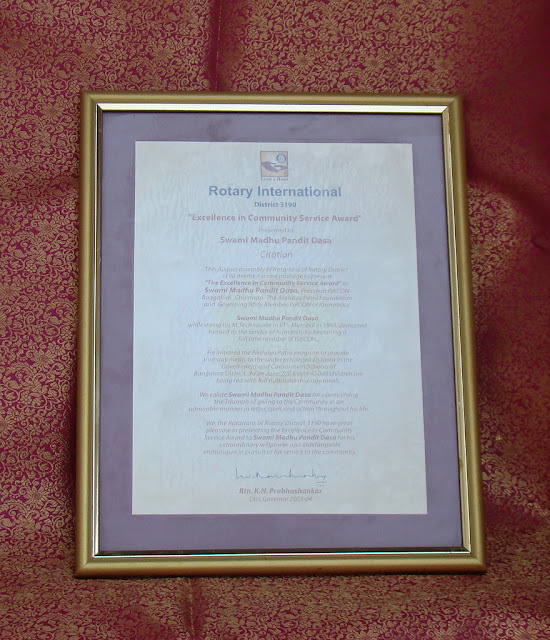 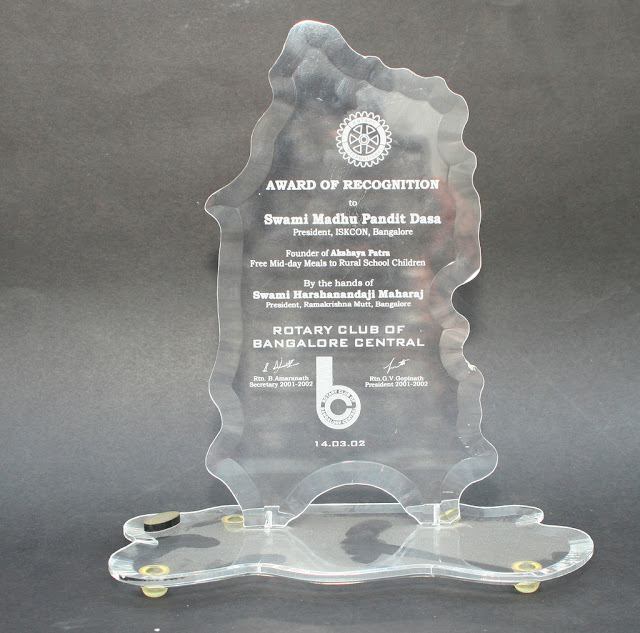 Rotary International District 3190 – Excellence in Community Service Award Presented to Madhu Pandit Dasa. 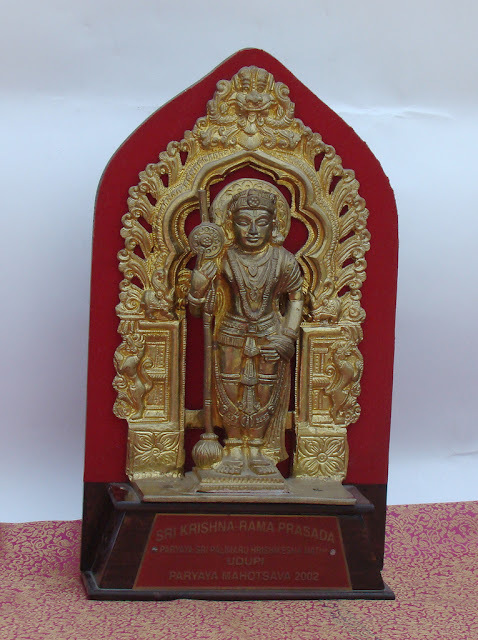 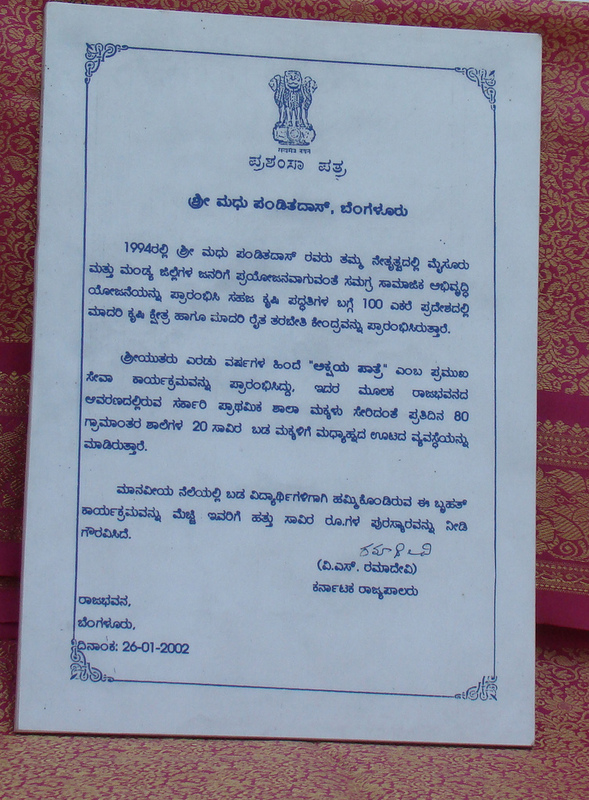 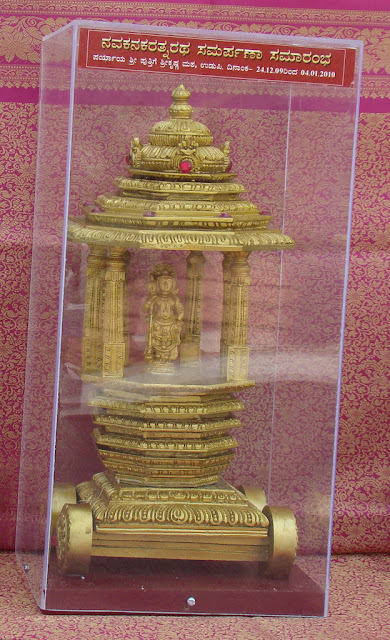 LIONS Club of Bangalore West Award in the year 1973 – 1998 (Silver Jubilee Year) Presented to Sri Madhu Pandit, President of Iskcon Bangalore. 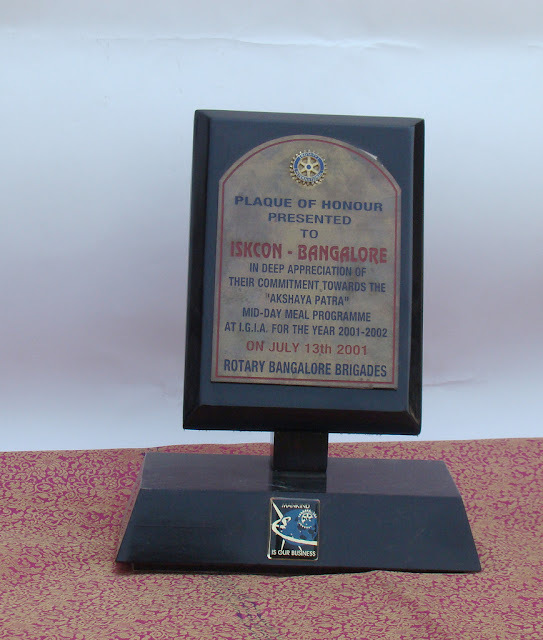 Plaque of Honor Presented to ISKCON Bangalore In Deep Appreciation of Their commitment towards the Akshaya Patra Mid-Day Meals Programme at I.G.I.A For the year 2001 to 2002 - ROTARY BANGALORE BRIGADES. 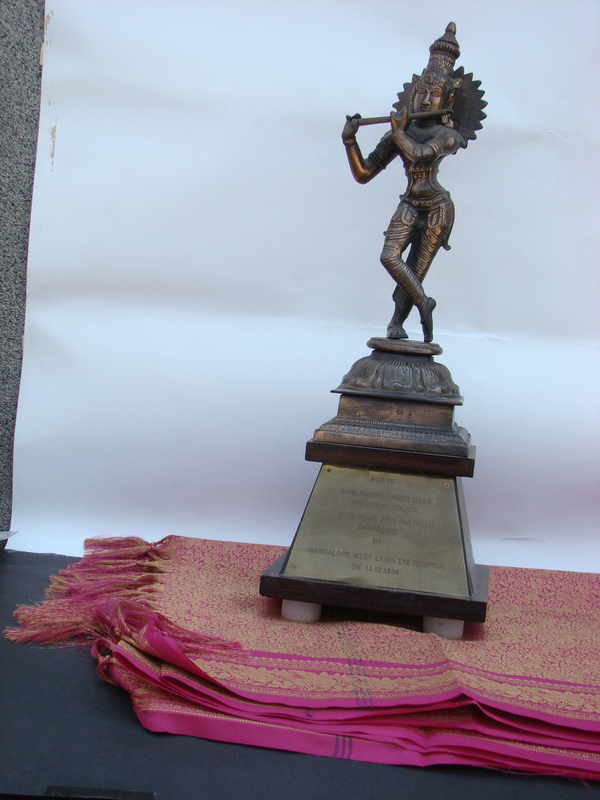 Suryadatta Lifetime Achievement award Presented to Sri Madhu Pandit, Chairman-Akshaya Patra Foundation. 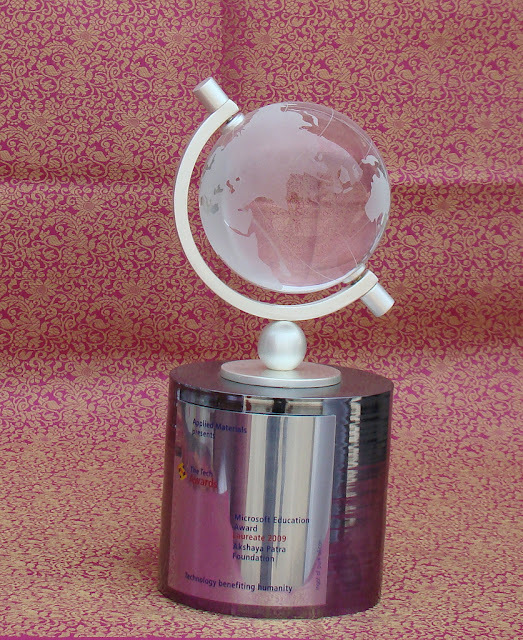 National child health award 2009 received by Madhu Pandit.